When baking cookies requires five different types of flour. Photo credit: Kim, CC BY 2.0. 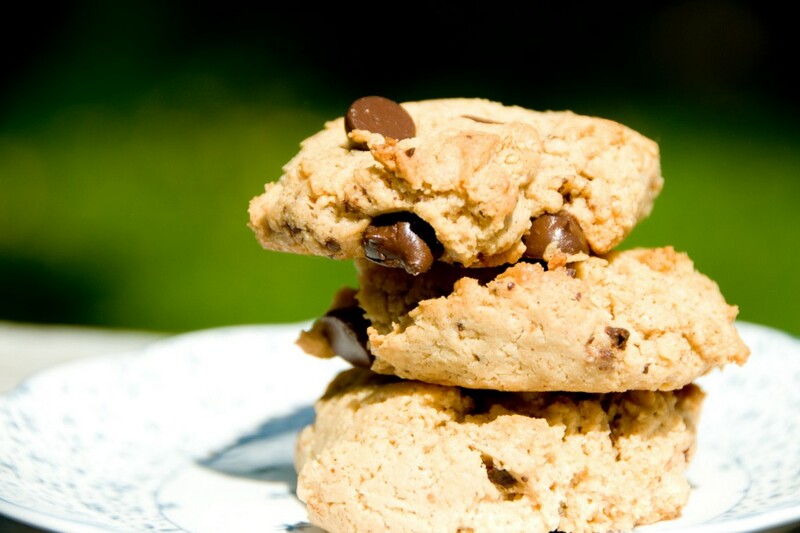 Eighteen months ago, I made my first batch of gluten-free chocolate chip cookies. The cookies looked and felt like hockey pucks. They tasted worse. The total cost of the cookie ingredients in my grocery cart: $47.39. I realize it’s a little unfair to measure the cost this way, since I couldn’t buy two eggs, a teaspoon of vanilla and two cups of gluten-free flour, and paying $47 (for cookies!) bought me a lot of leftover ingredients. So, to break it down: the ingredients for the rock-like batch of cookies cost me $10.45. Had I made the same recipe with regular flour, it would have cost $4.45. I’ve learned a lot over the last year-and-a-half about how to shop gluten free and what to stock in my pantry. For example: I’ve learned that making cookies at only twice the cost of a non-gluten-free recipe is a relative bargain. For most gluten-free foods, the cost is five times greater than the comparable wheat-based product. When a family member was diagnosed with a gluten intolerance, the choice was essentially made for me. I had to decide between paying more for gluten-free groceries or watching a loved one suffer immediate stomach-flu-like symptoms. I chose to pay up. I’ve heard the other benefits of a gluten-free diet described as improved mood, increased energy, and a general sense of feeling better—and I’m sure those things are true for many people. What’s described less often is the cost. After my first failed batch of cookies, it was clear to me that going gluten free wasn’t going to be as simple as switching out one flour for another. There are something like thirty different gluten-free flours in my local grocery store alone. So I went in search of information. The first thing I bought was a pair of cookbooks that gave me not only gluten-free recipes, but also the science and the chemistry behind them. This proved invaluable—and saved me money in the long run because it taught me how to adapt almost any recipe I found on-line. Cost of two cookbooks: $26.81. Number of hours spent looking for recipes on-line during the first year: Too many. Number of failed recipes during the first year: Thank God I didn’t count. This is where going gluten free will really hit you in the wallet. The good news is that almost anything is available in GF form. Oatmeal for breakfast? Bagels for lunch? Bread? Pasta? Granola bars? They’re all out there. The bad news is that everything is smaller and more expensive than its traditional counterpart. Expect the GF product to be about half the size and two to three times the cost. A bag of five GF bagels costs $7.49, and a 12-oz loaf of GF bread costs $6.99. Eight ounces of pasta—half the size of a “regular” package—costs $3.99 to $5.99, and a GF baguette to round out your meal will add another $3.99. It would cost you about $5.50 to buy those four items in traditional form, and take five minutes in two aisles. I spent an extra hour in the grocery store per trip during my first month of shopping for gluten-free foods, reading labels and trying to learn which products worked and tested the best. The other hidden cost of gluten-free cooking took me several last-minute trips to the grocery store to understand. In order to make familiar recipes come out well, you need extra ingredients. The cost to restock my pantry with plain yogurt, sour cream, buttermilk and white chocolate every month: $11.85. You can also expand your palate and your options. I feel like this almost goes without saying, but most cuisines ranging from Thai to Mexican to Middle Eastern to Japanese to Indian have amazing GF options and no added costs. My favorite Thai take-out order costs $13 and lasts at least two meals. Last week, I made another batch of chocolate chip cookies. This time, I knew to melt the butter first, add buttermilk, and use a blend of five different gluten-free flours. (Yes, five.) The cookies were warm and chewy and people asked me for the recipe without realizing the cookies were gluten free. The total cost of the ingredients for the batch of cookies: $9.26. While I’m no longer spending an extra three hours per month in the grocery store, it’s still more expensive to shop, cook, and bake gluten free. Plus, I’ve noticed that the foods I have to substitute seem to be the ones that cost less to begin with—that is, the bread/cereal/pasta staples that make up the bulk of a typical grocery trip. A loaf of bread can be found inexpensively enough, but the GF version cannot. If you have a little wiggle room, buying more expensive versions of the cheapest foods isn’t so bad—but trying to go GF on a tight budget is a challenge. There are fewer options and none of them allow your dollar to stretch as far. Is it worth it? For me, yes. For you? I don’t know. It’s worth trying a gluten-free diet if you are interested, or if you suspect you have a gluten intolerance. Just expect to spend a bit of both time and money figuring it out.